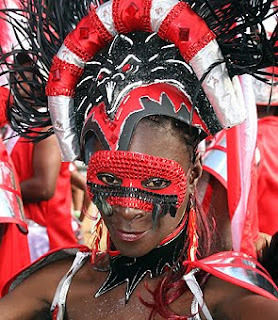 Trinis are getting ready for carnival. You can feel it in the air and see the preparations going on - they're knocking, banging, hammeing, putting up, fencing,tents, booths, stages. The Savannah is being walked all lover by exercisers preparing body and mind for the biggest jump-up festival....and, of course, Beyonce to top it all off.